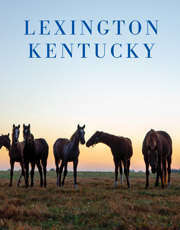 Suggested Lexington, KY Itineraries: Plan a Girlfriends Getaway. If you and your girlfriends want to get a taste of local culture, here&apos;s an itinerary that will introduce you to some regional treasures. 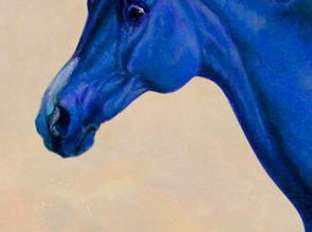 While you are in the Horse Capital of the World, reserve an afternoon tour to see some of the area&apos;s legendary horse farms. Arrive in time to have lunch before your tour, because at least one person in your party must try a Hot Brown while in town. Ramsey&apos;s, Sutton&apos;s and Dudley&apos;s all offer their own versions at lunch. If your group would enjoy a drive down to the Kentucky River, Hall&apos;s on the River serves a great hot brown, and other local specialties like fried banana peppers and beer cheese. (859) 527-6620. The locals flock to Magee&apos;s Bakery. (859) 255-9481. You might want to pick up doughnuts there before you head to Shaker Village at Pleasant Hill for a tour. Lunch on site at Trustee&apos;s Table is a must. (800) 734-5611. Get back to town in time to enjoy the fountains at Triangle Park, across from The Square, a beautifully restored block of Victorian buildings. Have dinner at nearby Sawyer&apos;s Bar and Grill. (859) 281-6022. If you are lucky enough to be here on a Monday night, get tickets for WoodSongs Old Time Radio Hour, a live radio show that is taped and broadcast all over the world from the historic Lyric Theatre. (859) 252-8888. Have a nightcap-and make it bourbon. After all, you are in the region where it was born. Bluegrass Tavern boasts the largest Bourbon collection in the state with hundreds of Kentucky Bourbons. (859) 523-7976. Honor a Lexington tradition by getting up early to watch the morning workouts at Keeneland Race Course and have an inexpensive but hearty southern breakfast at the Track Kitchen. (859) 254-3412. The Keeneland Gift Shop is a great place to pick up a memento of your Kentucky trip. Stop at McConnell Springs for an easy, short hike to the place 18th century explorers camped and decided on the name " Lexington." (859) 225-4073. Plan your getaway on the right weekend and you can hit one of the regions biggest antique shows: Athens Schoolhouse Antique Show, (859) 255-7309. It is held the second weekend of every month and offers acres and acres of browsing.